Contents. List of Contributors. Preface (S.K. Malhotra and J.A. Tuszyriski). Regulation of Bidirectional Pigment Granule Movement in Melanophores (H. Nilsson and M. Wallin). Ciliated Cell Electrodynamics: from Cilia and Flagella to Ciliated Sensory Systems (E.M. Insinna). Microtubule Self-Organization as an example of a Biological Turing Structure (J. Tabony and C. Papaseit). Molecular Automata Modeling in Structural Biology (R. Lahoz-Beltra). On the Interaction of Magnetic Fields with Coherent (Bio)chemical Reactions (K. Zioutas, L. Walckiers, M. Pagitsas, D. Sazou, and D. Malchow). Reflections of Biological Signaling: Electronic Conduction may be an Important Intracellular Pathway (J.A. Brown and J.A. Tuszyriski). Ferroelectrics and their Possible Involvement in Biology (N.E. Mavromatos, D.V. Nanopoulos, I. Samaras, and K. Zioutas). Viscoelasticity of Biopolymer Networks and Statistical Mechanics of Semiflexible Polymers (E. Frey, K. Kroy, and J. Wilhelm). Stochastic Data Analysis for the Assembly and Disassembly of Microtubules in Vitro (J.A. Tuszyriski, D. Sept, H. Bolterauer, and H.J. Limbach). Structural and Functional Properties of Tubulin Isotypes (Q. Lu, G.D. Moore, C. Walss, and R.F. Luduena). Single Myosin Molecule Mechanics (A.D. Mehta and J.A. Spudich). Motor Proteins have Highly Correlated Brownian Engines (G.P. Tsironis and K. Lindenberg). Quantum Mechanics in Cell Microtubules: Wild Imagination or Realistic Possibility (N.E. Mavromatos and D.V. Nanopoulos). Index. 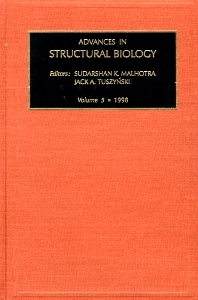 Volume 5 in the series Advances in Structural Biology is based upon a selection of articles presented at the Workshop on Molecular Bio-physics of the Cytoskeleton: Microtubule Formation, Structure, Function, and Interactions (August 18-22 1997 at the Banff Conference Centre in Banff, Alberta, Canada). Its main objective was to review the state-of-the-art of the field and stimulate a multidisciplinary investigation into the molecular biology of the cytoskeleton, which is amply manifested in the articles selected and published in this volume.